[S1] Registry of Births Deaths and Marriages Pioneer Index Victoria 1836-1888 "#D5219 age 3." Soldier Settler in North Beaconsfield 1920-1930. 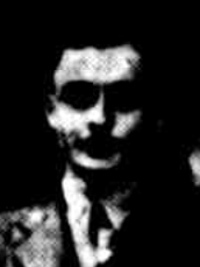 Stanley William Smith was a telephone fitter aged 23 and recently married when he enlisted on 8 Jul 1915. SERN 4930. His unit, the 14th Battalion, 15th Reinforcement embarked from Melbourne on 14 Mar 1916, on board HMAT A68 Anchises. He arrived in England in Jun 1916 and was sent to France on 6 Aug 1917 where he was wounded in action on 27 Sep 1917. He was evacuated to England and spent time in hospital with a complex fracture caused by a gunshot wound. He returned to Australia for change on 8 Apr 1918, and was discharged from the army on 30 Nov 1918. 25 Sep 1925, SOLDIER SETTLEMENT. Witnesses Fail to Appear. When the Royal Commission on Soldier Settlement met to hear evidence from the settlers of the North Beaconsfield district yesterday there was no appearance of witnesses. The commission delayed its sitting for some time and was available until a late hour but the witnesses did not arrive. 1 Mar 1926, DESTRUCTION OF TREES ON ROADS. TO THE EDITOR OF THE ARGUS. Sir,-The wilful destruction of trees upon country road has lately been commented upon by several correspondents, and not without good reason. Property owners in the country have a bad habit of cutting out all or mose of the trees on adjacient roads. Sometimes they have the shire council's permission, often they have not. The wood is carted away, and all the rubbish is left upon the ground, where it is a certain menace for bush fires. it is a matter for great regret that the picturesque beauty of many of our mountain roads has been ruined by the acts of thoughtless people. Shire councils should see that men do not remove unnecessary timber when cutting fire breaks. There is little doubt that many bush fires have been started among the rubbish on the roads by careless travellers. If the Forestry department had sent out competent rangers through all the timber country to see that proper fire breaks were cut, we should not have experienced these horrible fires.—Yours, &c., MURRAY. 25 Mar 1927, DESTRUCTION OF TREES. TO THE EDITOR OF THE ARGUS. Sir.—For the sake of our roads and its travel on the fine new roads between Beaconsfield and Emerald. Many of these people have little or no regard for the preservation of the beauties of nature. From North Beaconsfield to Emerald are many beauty corners, where the road touches the Cardinia and other creeks. One, in particular, near Crystal Park homestead, is a gem. A tiny brooklet joins with the Cardinia. The fine old weeping willow makes a good background, and the tang in the atmosphere, from musk to lemon teatree, adds a fine edge to the appetites of many travellers. This time, however, not the public, but the North Beaconsfield Progress Association, is responsible for the partial de struction of this ideal resting-place. The old willow tree is gone. The destruction has caused much angry comment, because the association had no authourity to remove it so far as I can learn from the Berwick Shire Council. 30 Mar 1927, DESTRUCTION OF BEAUTY SPOTS. TO THE EDITOR OF THE ARGUS. [S30] Nominal Roll, Australian War Memorial - WWII, http://www.ww2roll.gov.au/, Date of Birth 6 May 1893 - Place of Birth WARRNAMBOOL, VIC. [S15] Newspaper - Village Bell "017-1981, p11." [S11] Newspaper - Argus 25 Sep 1925, p18. [S11] Newspaper - Argus 1 Mar 1926, p15. [S11] Newspaper - Argus 25 Mar 1927 p9. [S11] Newspaper - Argus 30 Mar 1927 p21. (Migrant) Migration/Travel Jan 1862 Sailing with Eliza Day, Cornelius Day, Naomi Sophia Day to VIC, Australia. Ship Perekop. [S80] Ancestry - Family Tree, Day Family Tree - Owner: jamesfday888. [S185] Property Titles. ; PROV (Public Records Office Victoria), C/T 2758-427 - Emma Rhoda Day to Andrew Francis Wilson. [S185] Property Titles. ; PROV (Public Records Office Victoria), C/T 2758-427 - Emma Rhoda Day to Louisa Elizabeth Levick - discharged 4 Jul 1921. [S185] Property Titles. ; PROV (Public Records Office Victoria), C/T 2758-427 - Emma Rhoda Day to William Shera - discharged 24 June 1927. [S185] Property Titles. ; PROV (Public Records Office Victoria), C/T 2758-427 - Emma Rhoda Day to Mary Louisa Gibbs - not discharged before Emma's death. [S185] Property Titles. ; PROV (Public Records Office Victoria), C/T 4872-209 - Emma Rhoda Day of Beaconsfield Upper Orchardist - C/T 5714-643. [S11] Newspaper - Argus 19 March 1935 p1. [S35] Probate Records, PROV (Public Records Office Victoria), VPRS 28/P3, unit 2689; VPRS 7591/P2, unit 950. [S185] Property Titles. ; PROV (Public Records Office Victoria), C/T 2758-427 - Emma Rhoda Day died on 16 March 1935. Probate of her will has been granted to Eva Glover Campbell of Beaconsfield Upper Spinster and Percy Clifford Anderson of Wurt Wurt Koort Orchardist. [S185] Property Titles. ; PROV (Public Records Office Victoria), C/T 2758-427 - Emma Rhoda Day to Eva Glover Campbell of Beaconsfield Upper Spinster - C/T 5997-316. [S185] Property Titles. ; PROV (Public Records Office Victoria), C/T 5714-643 - Eva Glover Campbell of Beaconsfield Upper Spinster. [S101] Electoral Roll for Australia, 1903 - 1980 "also John DAY, groom at same address." photo bw1781 Day Emma Rhoda 1935 80 dau/ Samuel & Eliza (-Glover). [S14] Newspaper - West Gippsland Gazette (Warragul, Vic), 30 Oct 1928, p2. [S11] Newspaper - Argus 19 Mar 1935, p3. [S1] Registry of Births Deaths and Marriages Pioneer Index Victoria 1836-1888 "#B12563." [S3] Registry of Births Deaths and Marriages Edwardian Index Victoria 1902-1913 "#M6654." [S185] Property Titles. ; PROV (Public Records Office Victoria), C/T 1110-989 + C/T 3639-650 - Alfred Philip Cruthers of Upper Beaconsfield Master Printer - C/T 6343-407. [S185] Property Titles. ; PROV (Public Records Office Victoria), C/T 4116-086 - Clifford Carre Sharp of Upper Beaconsfield Dentist. [S185] Property Titles. ; PROV (Public Records Office Victoria), C/T 6343-407 - Clifford Carre Sharp of Upper Beaconsfield Dentist. [S5] Registry of Births Deaths and Marriages Death Index Victoria 1921-1985 "#D20673 age 76 [par William CRUTHERS & Cathering TRENERY]." TRISTANIA, INDIVIDUAL ROSE, GARDEN G3 BED 3 ROSE 68, Marion May buried 6 July 1950, Alfred 20 Feb 1959. [S11] Newspaper - Argus 23 Feb 1939, p6. [S185] Property Titles. ; PROV (Public Records Office Victoria), C/T 4414-734 - Clifford Carre Sharp of 23 Turnbull Avenue Toorak Doctor of Dental Surgery. [S11] Newspaper - Argus 7 Jul 1950, p17. [S5] Registry of Births Deaths and Marriages Death Index Victoria 1921-1985 "#D7594 age 74 [par James SHARP & Eva LePage]." [S4] Registry of Births Deaths and Marriages Great War Index Victoria 1914-1920 "#B16780/1915." [S4] Registry of Births Deaths and Marriages Great War Index Victoria 1914-1920 "#M2378." [S11] Newspaper - Argus 9 Aug 1919 p13. [S185] Property Titles. ; PROV (Public Records Office Victoria), C/T 6343-407 - Finlay Bros Motor Cycles Pty Ltd of 316 Elizabeth Street Melbourne. [S185] Property Titles. ; PROV (Public Records Office Victoria), C/T 4116-086 - Finlay Bros Motor Cycles Pty Ltd of 316 Elizabeth Street Melbourne. [S185] Property Titles. ; PROV (Public Records Office Victoria), C/T 4414-734 - Finlay Bros Motor Cycles Pty Ltd of 316 Elizabeth Street Melbourne. [S28] Victorian Government. BDM Index Victoria (Deaths) (online) "Place of Birth Claremont Western Australia." [S11] Newspaper - Argus 15 Nov 1929 p12. WHEN Miss Joan Elizabeth (Bettie) Sturken, only child of Mrs. and the late Mr. J. F. Sturken, of “Gowrie,” Berwick, was married to Keith Stuart, elder son of Mr. and Mrs. S. K. Andrews, “Bimbimbie,” Beaconsfield Upper, at the Littlejohn Memorial Chapel, Scotch College, last Friday, she wore a beautiful veil of Brussels lace which had been worn by 16 other brides. It was lent to her by the bridegroom’s mother. The bride, who was given away by her uncle, Mr. Norman Sturken, chose a simple, but delightful frock of figured satin. A coronet of orange blossom held her veil in place and she carried a bouquet of Christmas and water lilies. Her cousin, Miss Margaret Henry, attended her as bridesmaid, frocked in dainty ice-blue satin with matching Juliet cap trimmed with tulle. Her bouquet was of dark red roses. Rev. Malcolm McQueen solemnised the marriage a lid the reception was held at the Grosvenor. [S11] Newspaper - Argus The Argus (Melbourne, Vic. : 1848 - 1957), Sat 10 Jan 1925, p11. [S11] Newspaper - Argus 2 Jan 1946 p8. [S11] Newspaper - Argus 5 Jan 1946 p8. [S39] Index of burials in the cemetery of Fawkner Memorial Park, online @ http://www.gmct.com.au/deceased-search/ "The Funeral Service was conducted by M & A Mccormack Funerals." [S218] Newspaper - The Dandenong Journal (1927-1954) "The Dandenong Journal (Vic. : 1927 - 1954), Wed 9 Jan 1946, p14." Death-Notice* 8 Sep 2008 ANDREWS. - Betty. 17.06.1924 - 07.09.2008 Peacefully at Buckland House. Loving wife of Keith (dec.) Loving mother to Stuart, Dianna (dec.), Chris and Jamie. Much loved Nan to Cameron, Kate, Lachlan, Jennifer, Cecily, Peter and David. Great Grand Nan to Jessica, Harvey and Isla. [S13] Newspaper - Herald Sun "8 Sep 2008 - viewed online 2011." [S13] Newspaper - Herald Sun "8 Sep 2008 - viewed online 2014." While driving home to Upper Beaconsfield at about 7 o’clock on August 28, Mr. Stewart K. Andrews crashed into the Eummemering Creek bridge on the Princess Highway and was seriously injured. He was alone in the car at the time and it was not until a passing motorist came along that his plight was noticed. Unconscious when picked up, he was hurried to the Dandenong and District Hospital where he was found to be suffering from two broken legs, concussion, internal injuries and shock. He was later removed to a city hospitar and was still unconscious yesterday. The, car, a single-seater, hit the railing side on and was almodst a complete wreck. Fortunately it did not capsize, but screwed round before finally coming to a stop. “The, worst wreck I have ever seen,” was how one of the wrecking crew described it. It was raining at the time of the smash and visibility was very poor. [S35] Probate Records, PROV (Public Records Office Victoria), VPRS 28/P4, unit 2444; VPRS 7591/P3, unit 397. [S185] Property Titles. 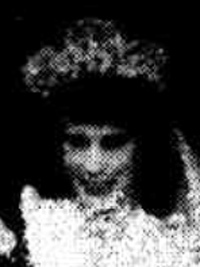 ; PROV (Public Records Office Victoria), C/T 6189-731 - Lillian Ellie Andrews of Beaconsfield Upper Married Woman. [S5] Registry of Births Deaths and Marriages Death Index Victoria 1921-1985 "#D11898 (age 61) [par William Henry ANDREWS & Elizabeth Marjorie LAIG] [reg. Beec]." [S11] Newspaper - Argus 19 Mar 1941, p11. [S218] Newspaper - The Dandenong Journal (1927-1954) "The Dandenong Journal (Vic. : 1927 - 1954), Wed 9 Sep 1942, p1." Note Bruce, Mary Grant and Bruce, George Evans. * Papers, including correspondence, notebooks, literary manuscripts, photographs. * 70 cm. original ms.
[S5] Registry of Births Deaths and Marriages Death Index Victoria 1921-1985 "#D18370 age 81 [par Jonathan BRUCE & Annie Sophia HUSSEY DE BURGH]." [S4] Registry of Births Deaths and Marriages Great War Index Victoria 1914-1920 "#M6721." [S11] Newspaper - Argus 23 Jun 1949 p9. [S35] Probate Records, PROV (Public Records Office Victoria), VPRS 28/P3, unit 4987; VPRS 7591/P2, unit 1463. [S149] Electoral Roll for Australia, 1949 "George Evans BRUCE now marked as dead." TRISTANIA, INDIVIDUAL ROSE, GARDEN F4 BED 12 ROSE 39. [S11] Newspaper - Argus 28 Jun 1949, p11. [S218] Newspaper - The Dandenong Journal (1927-1954) "29 Jun 1949, p11." 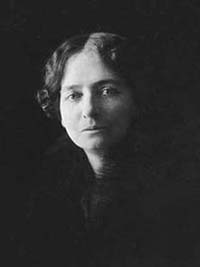 5 Jul 1958, Australian Authoress Dies In U.K.
BRUCE, MINNIE (MARY) GRANT (1878-1958), journalist and writer of children's books, was born on 24 May 1878 near Sale, Victoria, daughter of Eyre Lewis Bruce and his wife Mary (Minnie) Atkinson, née Whittakers. Her father, a surveyor, migrated to Melbourne from Cork, Ireland, in 1854, settling in Gippsland ten years later. Her mother was a daughter of a Welsh pioneer of the Monaro district, New South Wales. Minnie was fourth in a family of two boys and three surviving daughters. [S1] Registry of Births Deaths and Marriages Pioneer Index Victoria 1836-1888 "#B18690 (as Minnie Grant BRUCE]"
[S11] Newspaper - Argus 6 Dec 1938, p7. [S11] Newspaper - Argus 26 Aug 1941 p6. [S14] Newspaper - The Canberra Times, 5 Jul 1958, p11 (LONDON, Friday (A.A.P.-Reuter.). Print Publication Details: Lynne Strahan, 'Bruce, Minnie Grant (Mary) (1878 - 1958)', Australian Dictionary of Biography, Volume 7, Melbourne University Press, 1979, pp 452-453. [S35] Probate Records, PROV (Public Records Office Victoria), VPRS 28/P28, unit 411. [S11] Newspaper - Argus 8 Jul 1915 p1. [S11] Newspaper - Argus 20 Jun 1942, p5. [S185] Property Titles. 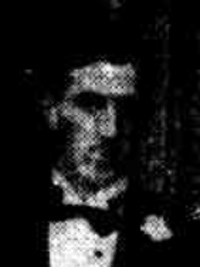 ; PROV (Public Records Office Victoria), C/T 6189-731 - Jonathan Eyre Bruce of 5 View Street Hawthorn Farmer. [S185] Property Titles. ; PROV (Public Records Office Victoria), C/T 6189-731 - Charles Edward Nash of 8 Edith Street Dandenong Contractor. [S11] Newspaper - Argus 1 Oct 1940, p6. [S11] Newspaper - Argus 29 Jun 1942, p5. [S1] Registry of Births Deaths and Marriages Pioneer Index Victoria 1836-1888 "#B28876." [S185] Property Titles. ; PROV (Public Records Office Victoria), C/T 3258-518 - Leslie Albert Wilson of 74 Curtain Street North Carlton Boot Finisher. [S185] Property Titles. ; PROV (Public Records Office Victoria), C/T 3258-518 - Mabell Kent. Mortgage No 286731. Discharged 23 Apr 1912. [S185] Property Titles. ; PROV (Public Records Office Victoria), C/T 3258-518 - Second Australian Starr-Bowkett Building Society of Equitable Buildings Collins Street Melbourne. [S185] Property Titles. ; PROV (Public Records Office Victoria), C/T 3258-518 - Leslie Albert Wilson of Upper Beaconsfield Boot Finisher. [S185] Property Titles. ; PROV (Public Records Office Victoria), C/T 6549-702. [S185] Property Titles. ; PROV (Public Records Office Victoria), C/T 8549-843 - Arthur William Richardson and Rosalie Irene Richardson to Leslie Albert Wilson of Rangeview Upper Beaconsfield Retired Orchardist. [S185] Property Titles. ; PROV (Public Records Office Victoria), C/T 3258-518 - MMBW - C/T 8838-224. [S22] Victorian Government. BDM Index Victoria (online) "#D26365 [par James WILSON & Blanche DERBYSHIRE]." [S24] PROV (Public Records Office Victoria), VPRS 10010/ P1 unit 335, item 1967/2309. [S16] Newspaper - The Age 10 Dec 1954, p3.